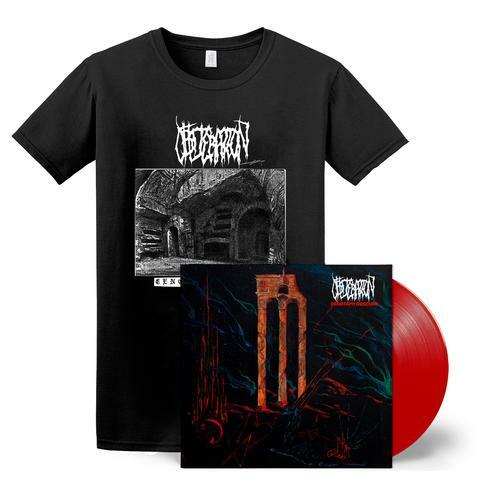 OBLITERATION’s FOURTH STUDIO ALBUM “CENOTAPH OBSCURE” out now! Norwegian death metallers Obliteration’s fourth studio album titled “Cenotaph Obscure” is out now! 90/100 - Metalreviews.com | 4,8/5 - Sputnikmusic.com: "The triumphant return of the black death." Cvltnation.com-: "Obliteration are simply spot on with Black Death Horizon." Metalblast.net-:"I can’t recommend this enough. Get it. Immediately." “Well well well, what we have here is the second album of the Kolbotn maniacs, and they have with this recording succeeded at what we in Darkthrone attempted on our “Soulside Journey” and “Goatlord” albums – a death metal masterpiece" - Fenriz of DARKTHRONE.